TLJ Daily E-Mail Alert No. 1,325, March 8, 2006. March 8, 2006, Alert No. 1,325. 3/7. The House approved HR 32, the "Stop Counterfeiting in Manufactured Goods Act", by voice vote. This bill amends the Criminal Code with respect to trafficking in counterfeit marks, including wrappers, boxes and stickers. This bill addresses a loophole that was exposed by the U.S. Court of Appeal's (10thCir) 2000 opinion in United States v. Giles, 213 F.3d 1247. It also increases the enforcement authority of the Department of Justice. The House approved an earlier version of the bill on May 24, 2005, by voice vote. See, story titled "House Approves Bill Regarding Trafficking in Counterfeit Marks" in TLJ Daily E-Mail Alert No. 1,141, May 24, 2005. Rep. James Sensenbrenner (R-WI), the Chairman of the House Judiciary Committee (HJC), stated in the House that "This legislation, which is substantially similar to legislation that passed the House by voice vote in May of 2005, contains important provisions to facilitate efforts by the Department of Justice to prosecute those who exploit the good names of companies by attaching counterfeit marks to substandard products. As amended by the other body, H.R. 32 includes changes to the definition of ``traffic´´ contained in Federal counterfeiting statutes to permit the prosecution of persons who import or export counterfeit products or possess counterfeit products with the intent to transport, transfer, or distribute such products." See, Congressional Record, March 7, 2006, at Page H594. 3/7. The Federal Communications Commission (FCC) announced and released the text [24 pages in PDF] of its Notice of Proposed Rulemaking (NPRM) regarding reexamining its rules governing the 904-909.75 and 919.75-928 MHz bands. This spectrum is currently shared by Part 15 devices and specified uses by the multilateration Location and Monitoring Service (M-LMS) defined in Part 90 of the FCC's rules. The NPRM notes that this spectrum is used also by network devices that provide high speed data and internet services via wireless internet service providers (WISPs). However, a footnote to the NPRM adds that "These do not represent a large number of equipment authorizations compared to other available unlicensed bands in higher frequency ranges." The NPRM states that M-LMS systems "track and locate objects over a wide geographic area (e.g., tracking a bus fleet) by measuring the difference in time of arrival, or difference in phase, of signals transmitted from a unit to a number of fixed points, or from a number of fixed points to the unit that is to be located." The NPRM states that "we seek to determine whether our current M-LMS rules are limiting licensees from providing services that are desired in the market and that could be profitably deployed without causing harmful interference to other users. We inquire as to whether the Commission could promote the development of such services by establishing new rules that would replace certain restrictions on M-LMS operations and grant M-LMS licensees more flexibility to respond to market conditions." This proceeding is titled "In the Matter of Amendment of the Commission’s Part 90 Rules in the 904-909.75 and 919.75-928 MHz Bands". This NPRM is FCC 06-24 in WT Docket No. 06-49. Initial comments are due by May 30, 2006. Reply comments are due by June 30, 2006. 3/7. Attorney General Alberto Gonzales gave a speech in London, England, in which he discussed, among other topics, electronic surveillance and data sharing. He said, "Take, for example, the issue of electronic surveillance, which has come to the fore in the current debate over the U.S.’s terrorist surveillance program. Critics have expressed concern about civil liberties and privacy interests. As I have stated many times, the program is both fully constitutional and fully protective of civil liberties. And while such issues must be resolved under our own Constitution and laws, it is noteworthy that the practice of obtaining electronic surveillance without a judicial warrant has long been accepted in Europe as something that can be accomplished with proper respect for liberty and privacy interests. France, for example, allows public prosecutors to order wiretapping without judicial warrant if they believe doing so would be useful for determining whether a terrorist offense has occurred. Here in the UK, the Home Secretary has the same power, subject to careful checks." He also discussed data sharing. He said that "One area in which we clearly must do more to learn from each other involves the sharing of data regarding terror suspects. A central challenge faced by all our countries is how to ensure that data is gathered and shared in ways that maximize the safety of our citizens without endangering their legitimate privacy interests. In Europe, the EU Commission has advanced the ``principle of availability´´ to encourage data sharing among EU countries for criminal justice purposes. Significantly, this principle would permit the sharing not only of traditional criminal justice information, but also fingerprint, DNA, and border control data." He continued that "Some contemplate erecting barriers against sharing data with partners outside the EU if their privacy systems do not precisely match the EU’s. Yet some of these privacy systems, while not identical to the EU’s, aim at very much the same result. The U.S., for instance, recognizes a right of privacy. While we implement that right in a different fashion than the EU, the core principles and protections remain the same. It is for this reason that we have been able to partner in data sharing arrangements with Europol and to work with the EU to fashion data protection provisions for the Council of Europe Cybercrime Convention. It would be a great loss to both the US and Europe if we were not able to do the same thing in the terrorism context. Neither side can afford to erect new walls that preclude us from sharing critical information about terror suspects." 6/8. The story titled "House Judiciary Committee Approves IP Jurisdiction Bill" in TLJ Daily E-Mail Alert No. 1,322, March 3, 2006, stated that "The House Judiciary Committee (HJC) approved HR 2955, the ``Intellectual Property Jurisdiction Clarification Act of 2005´´, by voice vote, without amendment." In fact, the HJC approved two amendments. All of the language of the bill quoted and summarized in the story remained unchanged by the two amendments. However, the HJC added a new section to the bill on March 2. This adds a new Section 1632 to Title 28 that provides, in full, that "When a case is appealed to the Court of Appeals for the Federal Circuit under section 1295(a)(1), and no claim for relief arising under any Act of Congress relating to patents or plant variety protection is the subject of the appeal by any party, the Court of Appeals for the Federal Circuit shall transfer the appeal to the court of appeals for the regional circuit embracing the district from which the appeal has been taken." See, first amendment [PDF]. The second amendment [PDF] revises the title language that describes the bill. The words "without amendment" have been deleted from the versions of this story that will be published in the TLJ web site. See also, following story titled "House Judiciary Committee Approves Amendment Regarding Jurisdiction of Federal Circuit", which explains this new Section 1632. 3/2. The House Judiciary Committee (HJC) approved HR 2955, the "Intellectual Property Jurisdiction Clarification Act of 2005", on March 2, 2006, by voice vote, with two amendments. First, the HJC approved a first amendment [PDF] that adds a new Section 1632 to Title 28 that provides, in full, that "When a case is appealed to the Court of Appeals for the Federal Circuit under section 1295(a)(1), and no claim for relief arising under any Act of Congress relating to patents or plant variety protection is the subject of the appeal by any party, the Court of Appeals for the Federal Circuit shall transfer the appeal to the court of appeals for the regional circuit embracing the district from which the appeal has been taken." Second, the HJC approved a minor second amendment [PDF] that revises the title language that describes the bill. See also, March 6 HJC draft of bill as amended [PDF]. Purpose of HR 2955. This bill is a response to the Supreme Court's opinion in Holmes Group, Inc. v. Vornado Air Circulation Systems, Inc., 535 U.S. 826 (2002). See, story titled "Supreme Court Rules on Appellate Jurisdiction of Federal Circuit" in TLJ Daily E-Mail Alert No. 443, June 4, 2002. In the Holmes case the Supreme Court held that the Federal Circuit's appellate jurisdiction cannot be based solely upon a patent counterclaim. Critics of the Holmes opinion have argued that this reduces federal control over IP cases, reduces uniformity of patent law, and encourages forum shopping. See, story titled "CIIP Subcommittee to Mark Up Intellectual Property Jurisdiction Clarification Act" in TLJ Daily E-Mail Alert No. 1,162, June 27, 2005. The bill, as introduced by Rep. Lamar Smith (R-TX), the Chairman of the HJC's Subcommittee on Courts, the Internet and Intellectual Property, on June 16, 2005, contains several provisions intended to ensure the the federal courts maintain control over IP litigation, and that the Federal Circuit maintains control over appeals in patent cases. However, one amendment approved by the HJC on March 2 has the effect of limiting the jurisdiction of the Federal Circuit. That is, it provides that if there is a case pending before the Federal Circuit, based upon its patent jurisdiction, for which there is no patent claim or counterclaim, the Federal Circuit shall transfer the appeal to the regional circuit in which the case arose. For example, there may have been a case in the District Court involving both patent claims, and non-patent claims. The District Court would have jurisdiction. If the case were appealed to the Federal Circuit, and the patent issues were not raised, or suffered from some other jurisdictional defect, then the case would be moved to a regional circuit. Purpose of March 2 Amendment. Rep. Smith, the sponsor of HR 2955, wrote in a prepared statement on March 2 that the purpose of this amendment is "to ensure that litigants do not use H.R. 2955 to file frivolous patent suits to avoid adjudicating antitrust disputes in the regional circuits." He added that due to the broad jurisdiction of the Federal Circuit, and the history of the legislation that created the Federal Circuit, "It is therefore inevitable and appropriate ... that the Federal Circuit handle some non-patent business disputes when related and non-frivolous patent claims are present." But, he added, "Even so, for cases regarding business disputes that do not involve patents, the Federal Circuit is bound to apply the law of the relevant regional circuit." Finally, Smith stated that the committee reports from the 1981 legislation that created the Federal Circuit both specifically stated that "immaterial, inferential, and frivolous allegations of patent questions will not create jurisdiction" in the Federal Circuit. He added, "In fact, the Federal Circuit itself has taken this admonition to heart, quoting the text of the Committee Reports in its opinions, when relevant. These safeguards provide a robust deterrent to those litigants wishing to gain access to the Federal circuit by filing frivolous patent claims. That said, the amendment before us will ensure that frivolous patent cases will not find their way to the Federal Circuit." Perhaps it should be noted that not only can a plaintiff file a frivolous patent claim along with a non-patent claim in the District Court, but, if HR 2955 as amended is enacted into law, then that same plaintiff could file a frivolous appeal of an adverse judgment on it frivolous patent claim. This, then, would preserve the jurisdiction of the Federal Circuit under the language of the just approved amendment. The Federal Circuit could reject the case on basis of the frivolity of the patent claim. But, this would be based upon the legislative history of the bill that created the Federal Circuit, and Federal Circuit precedent, and not on HR 2955 as amended. Impact of March 2 Amendment. Had the March 2 amendment been in effect in recent years, some of the most important technology related cases decided by the Federal Circuit, would have been decided by one of the regional circuits, rather than by the Federal Circuit. For example, the Federal Circuit's August 31, 2004 opinion [46 pages in MS Word] in Chamberlain v. Skylink is one of the few opinions involving the anti-circumvention provisions of the Digital Millennium Copyright Act (DMCA), which are codified at 17 U.S.C. § 1201. While the anti-circumvention provision bear some conceptual similarity to patent protection (both provide a right to exclude another from using certain technology), the DMCA is not a part of the Patent Act. Chamberlain filed a complaint in the U.S. District Court for the Northern District of Illinois. This District is in the 7th Circuit. Chamberlain pled patent infringement, and violation of the anti-circumvention provisions of the DMCA. Chamberlain lost in the District Court on it patent claims. However, it did not raise the patent issues on appeal. The only issue on appeal was application of the DMCA. The Federal Circuit wrote a detailed analysis of the jurisdictional issue. The Federal Circuit's jurisdiction was based upon 18 U.S.C. § 1295, which provides that the Federal Circuit has exclusive jurisdiction over "an appeal from a final decision of a district court ... if the jurisdiction of that court was based, in whole or in part, on section 1338 ..." In turn, 18 U.S.C. § 1338 provides that the District Court has jurisdiction over patent infringement claims. It reasoned that since Chamberlain pled patent infringement in the District Court, the District Court had jurisdiction. And since the District Court had jurisdiction, the Federal Circuit has appellate jurisdiction. Had the amendment approved by the HJC on March 2 been in effect in 2004, the Federal Circuit would have transferred the appeal 7th Circuit. Moreover, there is a good chance that the appeal would have been heard by a three Judge panel that included Richard Posner, who then most likely would have written the opinion. Posner is the co-author of the recently published book titled "The Economic Structure of Intellectual Property Law". Instead, Judge Arthur Gajarsa wrote the opinion for the Federal Circuit. One might speculate that the 7th Circuit too would have affirmed the District Court, but with a different analysis. See, story titled "Federal Circuit Rejects Anti-Circumvention Claim in Garage Door Opener Case" in TLJ Daily E-Mail Alert No. 971, September 7, 2004. Another major case that would have been affected had this amendment been in effect was Independent Ink v. Illinois Tool Works. Independent Ink filed a complaint in U.S. District Court for the Central District of California against Trident and Illinois Tool Works. It sought a declaratory judgment of non-infringement and invalidity against Trident's patents. It also alleged that Trident was engaged in illegal tying and monopolization in violation of sections 1 and 2 of the Sherman Act, which are codified at 15 U.S.C. § 1 and § 2. The District Court had jurisdiction because of both the patent claim and the antitrust claims. However, on appeal, the only issue was antitrust. Nevertheless, the Federal Circuit had jurisdiction under 1295(a)(1) because the District Court had jurisdiction under 1338. Had HR 2955, as amended on March 2, been in effect, the 9th Circuit, rather than the Federal Circuit, would have heard the appeal. See also, story titled "Supreme Court Grants Certiorari in Patent Tying Antitrust Case" in TLJ Daily E-Mail Alert No. 1,158, June 21, 2005, and story titled "Supreme Court Vacates in Patent Tying Antitrust Case" in TLJ Daily E-Mail Alert No. 1,321, March 2, 2006. "(a) The district courts shall have original jurisdiction of any civil action arising under any Act of Congress relating to patents, plant variety protection, copyrights and trademarks. Such jurisdiction shall be exclusive of the courts of the states in patent, plant variety protection and copyright cases. (b) The district courts shall have original jurisdiction of any civil action asserting a claim of unfair competition when joined with a substantial and related claim under the copyright, patent, plant variety protection or trademark laws. (c) Subsections (a) and (b) apply to exclusive rights in mask works under chapter 9 of title 17, and to exclusive rights in designs under chapter 13 of title 17, to the same extent as such subsections apply to copyrights." HR 2955, as introduced, and as approved by the HJC on March 2, amends this. It deletes the second sentence of subsection (a), and replaces it with the following sentence. "No State court shall have jurisdiction over any claim for relief arising under any Act of Congress relating to patents, plant variety protection, or copyrights." This is perhaps the most important part of HR 2955. It prevents state courts from deciding patent or copyright cases, solely because the IP issue were raised by way of counterclaim, rather than in the complaint. "(a) The United States Court of Appeals for the Federal Circuit shall have exclusive jurisdiction -- (1) of an appeal from a final decision of a district court of the United States, the United States District Court for the District of the Canal Zone, the District Court of Guam, the District Court of the Virgin Islands, or the District Court for the Northern Mariana Islands, if the jurisdiction of that court was based, in whole or in part, on section 1338 of this title, except that a case involving a claim arising under any Act of Congress relating to copyrights, exclusive rights in mask works, or trademarks and no other claims under section 1338 (a) shall be governed by sections 1291, 1292, and 1294 of this title;"
HR 2955, as introduced, and as approved by the HJC on March 2, would change this to the following. "in any civil action in which a party has asserted a claim for relief arising under any Act of Congress relating to patents or plant variety protection;"
That is, as amended, § 1295(a)(1) no longer references § 1338. The amendment to HR 2955 approved on March 2 creates, at 28 U.S.C. § 1632, a new section that provides as follows. "When a case is appealed to the Court of Appeals for the Federal Circuit under section 1295(a)(1), and no claim for relief arising under any Act of Congress relating to patents or plant variety protection is the subject of the appeal by any party, the Court of Appeals for the Federal Circuit shall transfer the appeal to the court of appeals for the regional circuit embracing the district from which the appeal has been taken." Also, HR 2955, as introduced, and as approved by the HJC on March 2, creates, at 28 U.S.C. § 1454, a new section that provides as follows. "(a) IN GENERAL.---A civil action in which any party asserts a claim for relief arising under any Act of Congress relating to patents, plant variety protection, or copyrights may be removed to the district court of the United States for the district and division embracing the place where such action is pending. (b) SPECIAL RULES.---The removal of an action under this section shall be made in accordance with section 1446 of this chapter, except that if the removal is based solely on this section -- (1) the action may be removed by any party; and (2) the time limitations contained in section 1446(b) may be extended at any time for cause shown. (c) REMAND.---If a civil action is removed solely under this section, the district court -- (1) shall remand all claims that are not within the original or supplemental jurisdiction of the district court under any Act of Congress; and (2) may, under the circumstances specified in section 1367(c), remand any claims within the supplemental jurisdiction of the district court under section 1367." Title 28 of the U.S. Code deals with the judiciary and judicial procedure. Part IV of Title 28 deals with jurisdiction and venue. All of the above language pertains to Part IV. The new § 1454 is so numbered because that is the next available sequential number in Chapter 89, which deals with removal jurisdiction of the District Courts. The new § 1632 is so numbered because that is the next available sequential number in Chapter 99, which deals with "General Provisions". The drafter chose not to place this new section in Chapter 83, which deals with the jurisdiction and venue of the Courts of Appeals. 3/7. The House approved S 2271, the "USA PATRIOT Act Additional Reauthorizing Amendments Act of 2006", by a vote of 280-138. See, Roll Call No. 20. The Senate approved the bill on March 1, 2006, by a vote of 95-4. See, Roll Call No. 25. This bill, along with the conference report [PDF] on HR 3199, the "USA PATRIOT Improvement and Reauthorization Act of 2005", are now ready for President Bush's signature. Rep. James Sensenbrenner (R-WI), the Chairman of the House Judiciary Committee (HJC) offered this explanation of the bill. "This bill includes three additional clarifications of the conference report to address concerns raised by some Members of the other body. First, current law does not expressly provide a recipient of a section 215 order or a national security letter the right to challenge it. The conference report clearly delineated judicial review for such challenges, including the ability of NSL recipients to challenge an accompanying nondisclosure order. S. 2271 would extend the section 215 recipients similar access to judicial review, to challenge and attach the nondisclosure order." See, Congressional Record, March 7, 2006, at Page H582-3. Second, said Rep. Sensenbrenner, "Second, because of national security concerns, the conference report contained language that would allow the government to ask a recipient of one of these national security orders to identify the persons to whom disclosure will be or was made. The Director of National Intelligence expressed concern that without this safeguard, a recipient could disclose the government's investigative efforts to a person with ties to hostile foreign governments or entities. The conference report permitted the government to determine whether a request is warranted, and if the defendant has made such a request to determine whether the disclosure affected an ongoing investigation. An exception was included for information that might interfere with attorney-client relations, specifically barring the disclosure of the identity of an attorney to whom a recipient planned to disclose. This bill extends the exception to prevent the government from requesting the name of counsels with whom the recipient had already consulted." Third, "S. 2271 clarifies current law that a library may only be subject to an NSL request if it falls under 18 U.S.C. 2516(15), which defines an electronic communications service provider as any service which provides to users thereof the ability to send or receive wire or electronic communication. This change addresses the potential for misuse alleged by critics of the legislation." 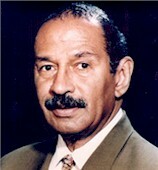 Rep. John Conyers (D-MI), the ranking Democrat on the HJC, spoke in opposition. He said that "We failed when we rushed through the first PATRIOT Act while the wreck of the World Trade Center was still smoldering. We failed when we refused to address the repeated civil liberties abuses by our own government, including the warrantless surveillance of U.S. citizens. And today, we are failing yet again, by taking up S. 2771. Not only is the bill substantively dangerous, it does nothing to respond to the serious flaws in the conference report." First, said Rep. Conyers (at right), "the bill is dangerous because it makes it practically impossible to challenge the gag orders that come with secretive 215 orders. It would not only make the recipient wait at least one full year before challenging a gag order, it deems government certifications concerning possible harm to national security to be ``conclusive.'' This is far worse than what is proposed by the conference report which would allow the FISA court to ensure that the law and the Constitution are not violated." See, Congressional Record, March 7, 2006, at Page H584-5. And second, "the bill operates as a mere fig leaf, covering over serious problems in the underlying conference report. For example, the bill pretends to protect libraries from receiving National Security Letters, but then revokes that protection if the library offers internet access. The bill does nothing to prevent the government from using security letters to obtain confidential information having nothing to do with terrorism; nothing to protect secret physical searches of homes and offices; and nothing to rein in abusive roving wiretap orders." The Senate will meet at 9:30 AM. It will begin consideration of S 2349, the lobbying reform bill. 10:00 AM. The House Commerce Committee (HCC) will meet to mark up HR __, the "Prevention of Fraudulent Access to Phone Records Act". The hearing will be webcast by the HCC. See, notice. Press contact: Larry Neal (Barton) at 202 225-5735. Location: Room 2123, Rayburn Building. 2:30 PM. The Senate Commerce Committee (SCC) will hold a hearing titled "Innovation and Competitiveness Legislation". See, notice. Sen. John Ensign (R-NV) will preside. Press contact: Melanie Alvord (Stevens) at 202 224-8456, Aaron Saunders (Stevens) at 202 224-3991, or Andy Davis (Inouye) at 202 224-4546. Location: Room 562, Dirksen Building. (PEACESAT) program grants. See, notice in the Federal Register, February 13, 2006, Vol. 71, No. 29, at Pages 7539-7541. 3/7. President Bush announced his intent to appoint Scott Kriens, Ch/CEO of Juniper Networks, to be a Member of the President's National Security Telecommunications Advisory Committee. See, White House release. 3/7. President Bush announced that he has withdrawn the nomination of James Payne to be a Judge of the U.S. Court of Appeals for the Tenth Circuit. Bush made the nomination on September 29, 2005. See, White House release. He is currently a Judge of the U.S. District Court (EDOkla). President Bush appointed him. He was confirmed by the Senate on October 23, 2001. From 1988 until 2001 he was a Magistrate Judge in that District. See, DOJ biography and resume. 3/7. Randall Fons, Regional Director of the Securities and Exchange Commission's (SEC) Central Regional Office, which covers the states of Colorado, North Dakota, South Dakota, Utah, Wyoming and New Mexico, will leave the SEC in late March to become a partner in the Denver office of the law firm of Morrison & Foerster. See, SEC release and MoFo release.